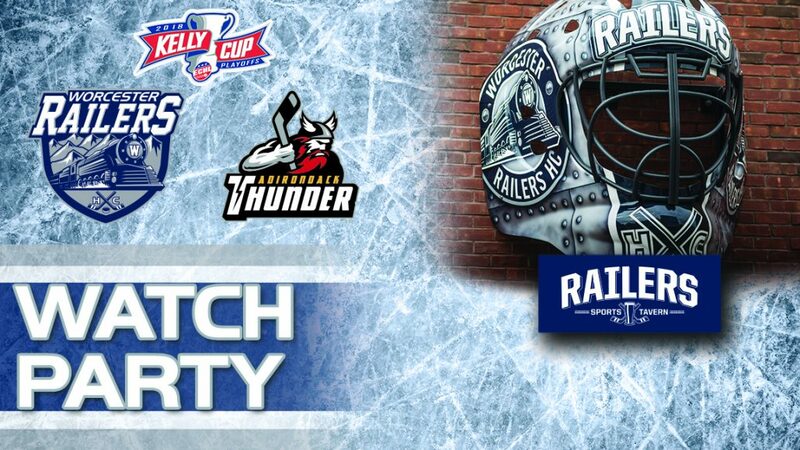 Watch GAME 5 of the best of seven Kelly Cup playoff series between the Worcester Railers and the Adirondack Thunder at Railers Tavern on Saturday at 7pm! Wear your Railers gear to the Tavern on Saturday night…as the Railers try to force Game 6! As always, Eric Lindquist and Tom Matthews will have the call live on 98.9 Nash Icon beginning with a 30-minute pregame show. If the Railers win on Saturday…. We will have a GAME 6 at the DCU Center on Monday, April 23 at 7pm! Make sure to tag any photos on Twitter @RailersHC for shout-outs during the game!